Alanna’s research interests include cyborg anthropology, Google Earth and Street View, material technology, and social media. In the Media Corps, she assists in digital projects, graphic design, event staffing and organizing, as well as maintenance and publication of website content. Her skills include audio editing, graphic design, video recording, and idea generating. Alanna’s favorite Experimental Humanities class she has taken was Introduction to Media, taught by Professor Laura Kunreuther. As society changes around us we must constantly redefine what it means to be human, a condition which determines our social activity and innovations. Humans and technology are two symbiotic yet opposing forces that we must explore in tandem if we want to understand ourselves. In the Media Corps, I have the opportunity to work with students and professors who share this concern. I have no idea, I can’t remember a time at Bard when I didn’t know about it. Noah Segal-Gould (North Haven, Connecticut) is a senior at Bard, majoring in computer science with a concentration in experimental humanities. His interests include web development, text analysis, mapping, media studies, and digital humanities. His work in EH involves tutoring, web design, tutorial-writing, including his help during Citizen Science winter sessions in 2016 and 2017. His enthusiasm in the EH department revolves around his idea that, “engagement in media studies as a means of being a well-informed computer scientist. Engaging with talented individuals across varied disciplines”. In addition to computer science, Noah makes twitter bots for fun! Olive (Berkley, CA) joined the Media Corps in the Spring semester of 2017 as its Videographer and Media Organizer. She is an intended major in either Film production or photography. Olive has helped with photographing events, organizing media, editing and compiling event footage and photoshopping maps for various projects. I want to document and communicate through a visual language because it is very accessible in these times, and Experimental Humanities shares that goal. Anne (Baltimore, MD) joined the Digital History Lab near the end of the Fall semester of 2016. Some of the projects she has work on in EH include Lab assistant Ward Manor (archiving and oral histories), helped with the GlobalLocal conference, Jonah Rubin’s “Anthropology of Death (F16), Laura Kunreuther’s “Culture, Mediation, Media”(S17), DHL, Media Corps, DHV (2017) Tutor for Intro to Media (2017). She is skilled in singing and theatre, and is interested in EH due to a growing interest in archiving, as well as oral history and memory. Heard about Experimental Humanities from taking Jonah Rubin‘s “Anthropology of Death” class. I’m interested in archiving, oral history and memory. Mixing multiple disciplines and media is what drew me to EH. Arti has been a project contributor in the Digital History Lab since the Fall of 2016, and their research interests include Digital Humanities and animation. Their favorite Experimental Humanities course thus far has been The Neuronovel, which was taught by Literature professor Lianne Habinkek that same Fall. 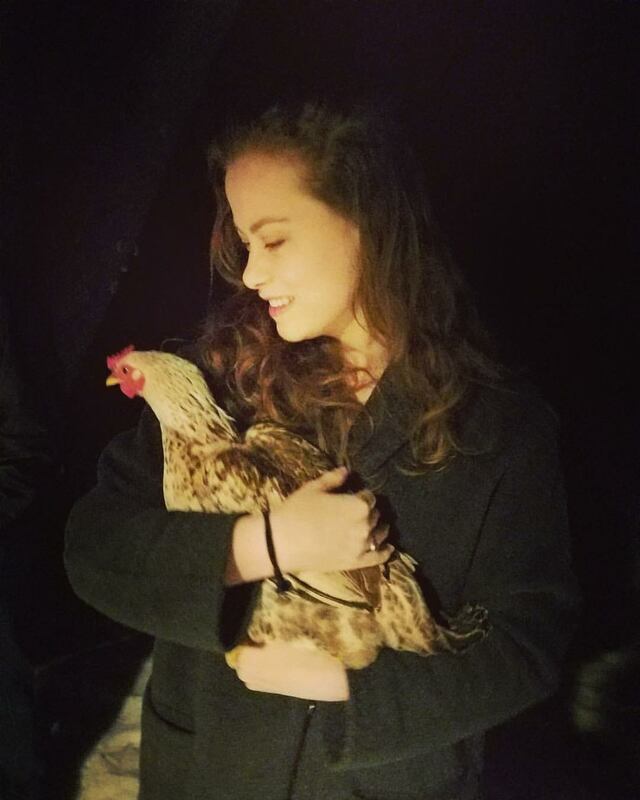 Sophia Pappas (New York City, NY) is a current Junior at Bard, majoring in sociology with a main focus in urban sociology. While only getting involved in the EH department last year, she mainly helped with the beginning stages of the Mobile History Van. The MHV is a project that that goes to neighboring areas with technology such as 3D scanners in order to record people’s histories as a way to add to the knowledge we have about the local history. EH is a very crucial way to look at the evolving world and especially the urban world. EH gives us a narrative and way to express history and social studies in creative ways. 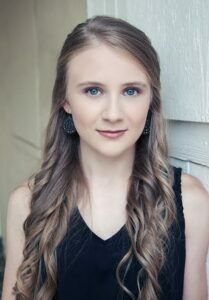 Anna Hallett (York, Pennsylvania) is in her second year of the conservatory at Bard as a violinist, studying under Weigang Li for violin performance. Additionally, she is an intended philosophy major. She started working for the EH department last year working equipment inventory and technology organization and looks forward to getting involved in other projects around the office! The Digital History Lab (DHL) is an innovative process-driven humanities laboratory. The student team produces local history projects with the aim to foster an exchange between Bard College and the strong community of public history―citizens, public servants, historical societies, town libraries―in the Hudson Valley. The Immersive Media Art Laboratory was founded in the summer of 2016 through the support of a humanities lab grant from the Bard Experimental Humanities initiative. IMAL provides a framework for Bard faculty and students to assemble and test semi-portable structures for exhibiting immersive media art (i.e. art that surrounds a viewer or creates a heightened experience of dimensional illusion), and to create and refine specific immersive video and virtual reality artworks.